Your appetite should benefit from being in San Francisco, too. If you agree, read on to discover the best tastes in the city. Mission Burrito is a popular burrito in San Francisco that is named after the Mission District of the city. Compared to other burritos, Mission Burrito is large and includes different ingredients. During 1960s it started to became popular and now San Francisco is accepted to have the best burrito in the U.S. If eating a roll of Mission burrito tearing the foil as you eat and dipping it in salsa sauce before your each bite increases your appetite, put Mission Burrito on top or fyour must-eat list. And the most popular addresses for the best Mission burrito are Taqueria Cancún, located in 2288 Mission Street, and El Farolito, located in the same street, 2884. Cioppino is kind of a fish stew and although it sounds Italian, Cioppino is originated in San Francisco. It is made of fish, tomateos and wine generally and contains varios seafood like clams, shrimp or mussels. However, in San Francisco version of Cioppino, fresh shrimp, fish, squid, mussels, scallops and crab from Pacific Ocean are all added in the soup. 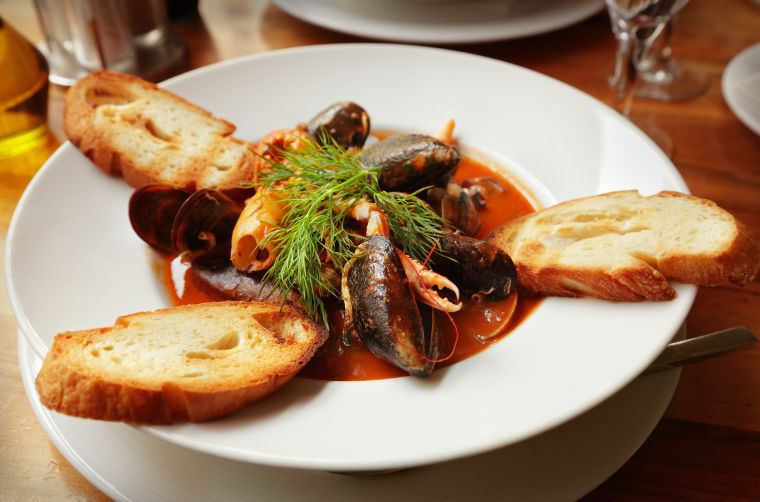 If you like seafood and you wish to taste the best Cioppino in the city, you can try Sotto Mare that is located in Green Street, 552, Scoma’s Restaurant, located in Fisherman’s Wharf or Tadich Grill, located in 240 California St. Located in 1701 Stockton Street, Mama’s serves probably the best breakfast in San Francisco. If you have a full breakfast there, you’ll remember that meal as one of the best one in your lifetime. In Mama’s breakfast menu, you can find delicious pancakes, French toastes, benedicts, omelettes or specials. If you are planning to go there at the weekends, you’d better keep in mind that you can wait at least half an hour because it may be too crowded. However, if you can make it to have a breakfast there, you’ll understand why all those people dare to wait in that line.